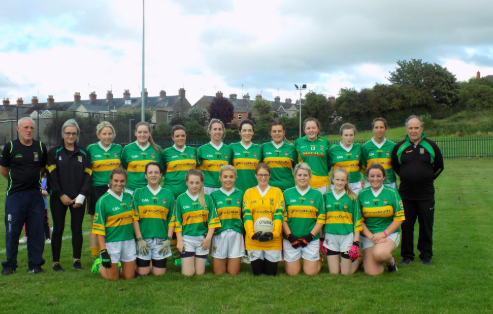 Mairead Farrell Cup: outrage or honouring? I was at a talk by historian Eamon Phoenix last night, in which he told a story about being summoned to Stormont a few years back, where they’d come on an old chest (I kid you not) and wanted him to be on hand for its opening. Inside were a series of silver cups, with the names of Orange Lodges and their commitment to the unionist cause. On the biggest of the cups, about the size of the Sam Maguire, there was the usual unionist commitment, with in bold letters the rousing statement: “Not An Inch”. Apparently the Stormont authorities couldn’t get the treasure trove out of the place quickly enough. And there are people with the brass neck to tell you the Orange Order is a religious organization. Also yesterday I was invited onto Talkback to discuss the naming of a Ladies Gaelic football tournament after Mairead Farrell. After I’d spent ten minutes assembling my thoughts on the subject, I got a call telling me my services were no longer required. Such is the life of the freelance broadcaster. Anyway, waste not, want not. Here’s where I’d got to in my thinking. The Ladies Football tournament games were held as part of the West Armagh Community Festival, and were played on grounds owned by Armagh City, Banbridge and Craigavon Borough Council (ABC). Much unionist outrage was vented by unionist politicians, when they heard that such a thing had happened. Clearly if the ABC council has rules forbidding tournaments named after politically contentious figures, the tournament should never have happened. Which seems a little bit doubtful, since the council has said it’s launching an investigation into the whole matter. If such tournaments were banned, there’d be no need for investigation. The council would know its rules had been broken. Like so many of the matters which elicit unionist outrage, this comes back to the (claimed) perception of the past. 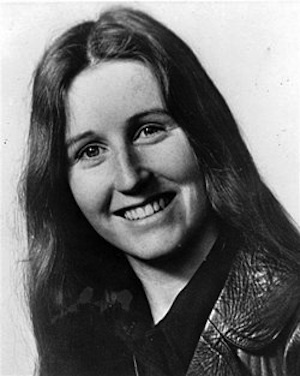 To unionist politicians such as Newry and Armagh DUP MLA William Irwin, the past was simple: Mairead Farrell and others engaged in a decades-long killing spree, and when she was executed in Gibraltar, it was one less terrorist to deal with. The republican community and its representatives would point to many instances – the Glenanne gang, the Miami Showband killings, Bloody Sunday in Derry, Dublin-Monaghan bombs, Ballymurphy – where terror was meted out by unionist and British armed forces. The execution of three unarmed IRA volunteers in Gibraltar, one of whom was Mairead Farrell – should tell even the very dim that the conflict of past decades was a complex story, not a black-and-white caricature. For the state and DUPers, Mairead Farrell was a terrorist; for the republican community, Mairead Farrell was a heroic figure who engaged in a legitimate struggle and like many others, was shot dead when she could have been arrested. It follows, then, as surely as the smell of financial corruption follows the DUP, that republicans would want to honour the memory of Mairead Farrell. To say “But she espoused violence for political ends”, one has only to look at Stormont and the giant statue of a man with his arm in the air. That’s Edward Carson, the first signatory of the Ulster Covenant, which committed the vast numbers who signed it to – yes, Virginia, you got it – violence to achieve a political goal, if that’s what it took. I haven’t heard any motion for a rope to be tied round Carson’s neck and have him hauled from his pedestal; nor have I heard of similar steps to remove the UDR monument in the middle of Lisburn. After all, the UDR were guilty of systemic collusion with loyalist/unionist paramilitaries to kill innocent Catholics wherever the opportunity arose. And statues, like puppies, are for life, not the few weeks that it’ d take to conduct a ladies’ football tournament. Twenty years after the Good Friday Agreement, the mind of unionist politicians keep failing the parachute test. Which is? Like a parachute, if it’s not open it’s of no use.